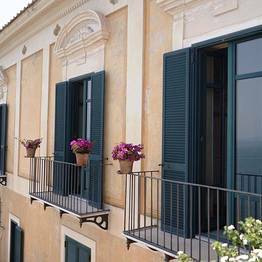 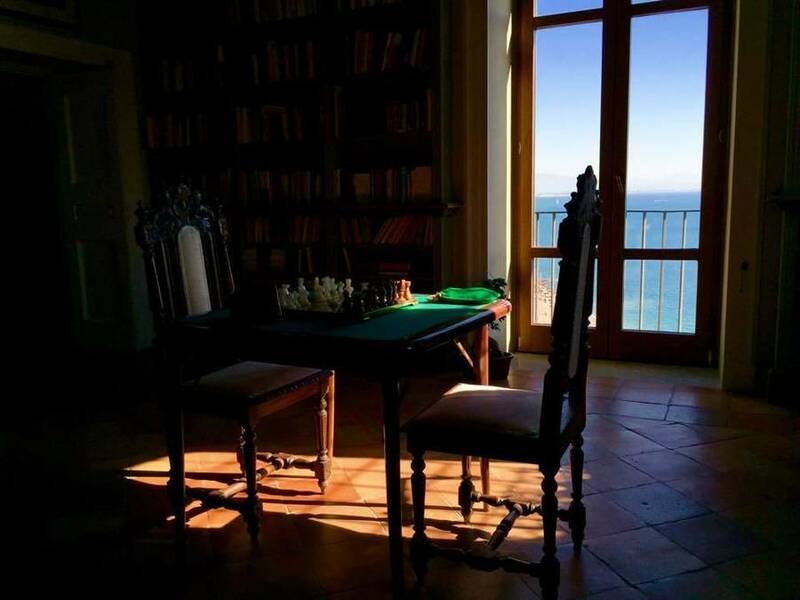 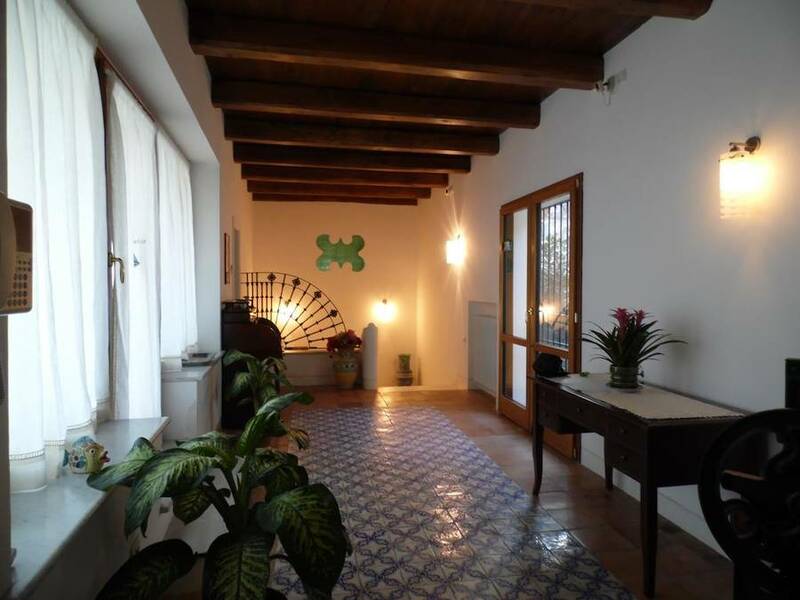 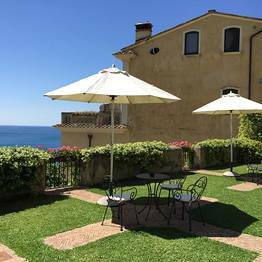 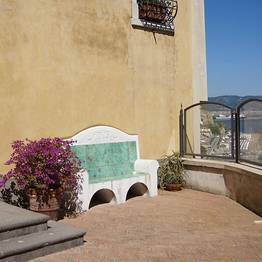 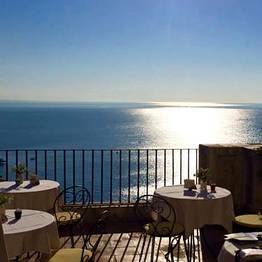 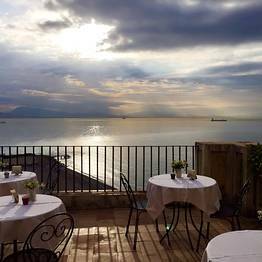 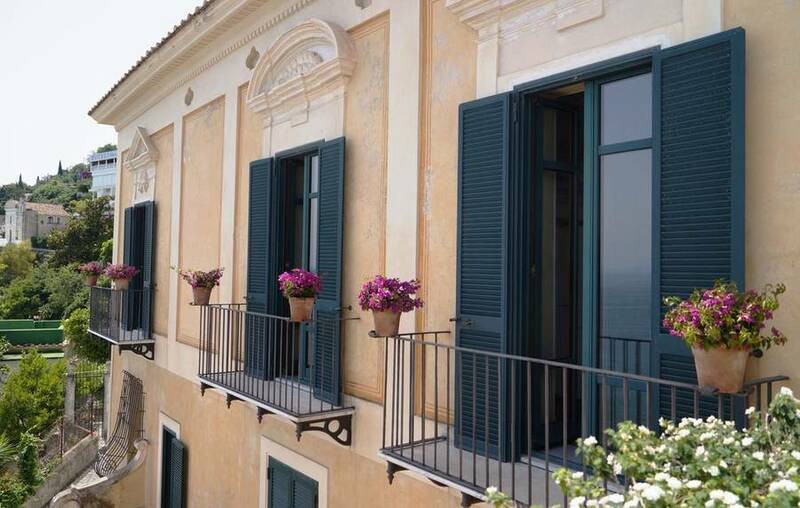 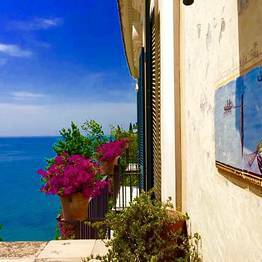 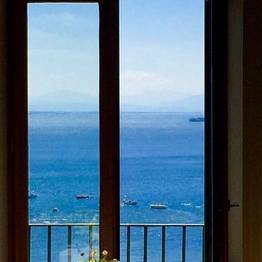 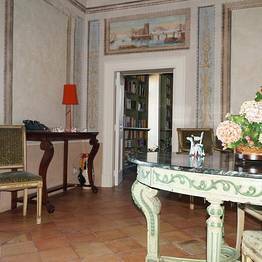 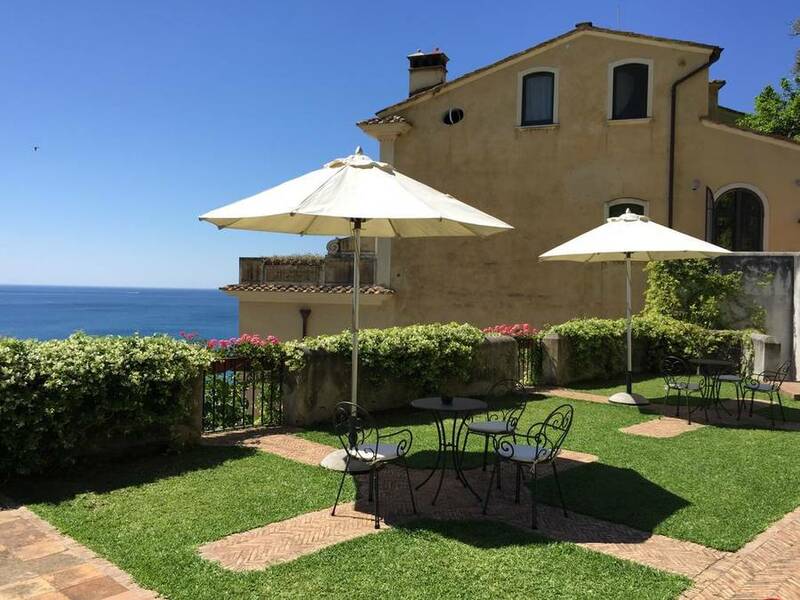 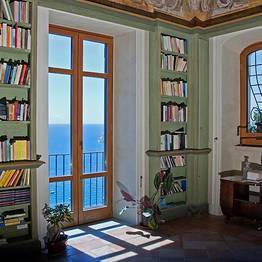 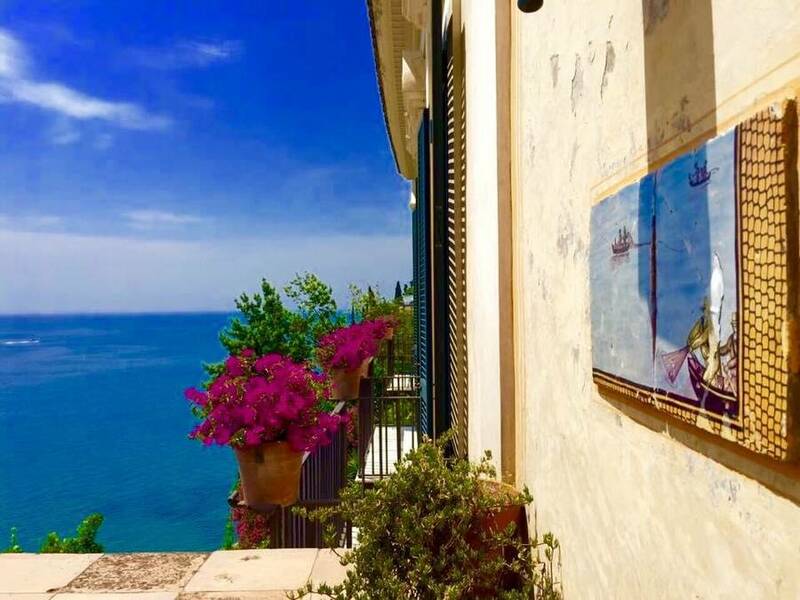 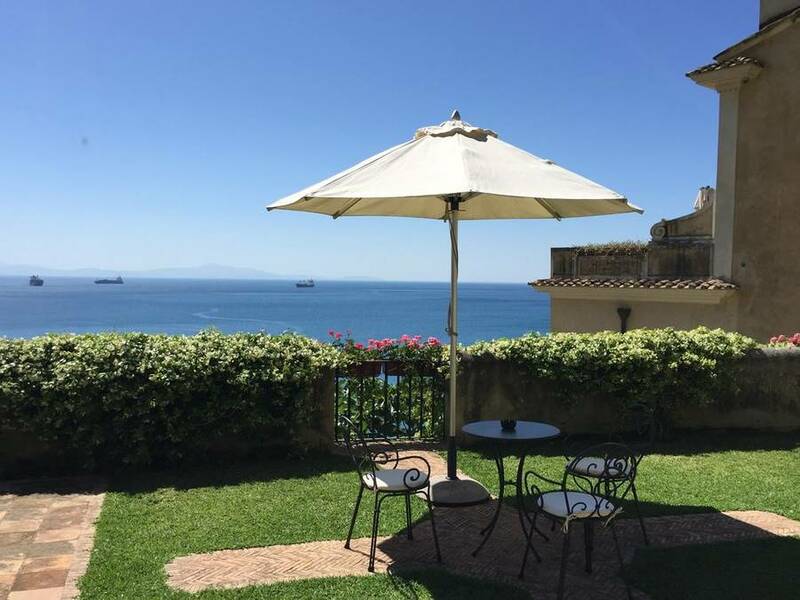 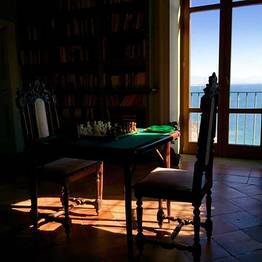 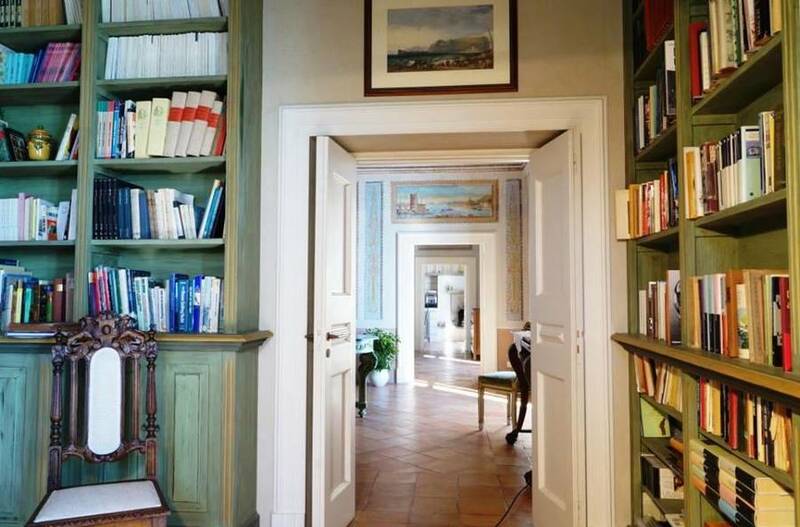 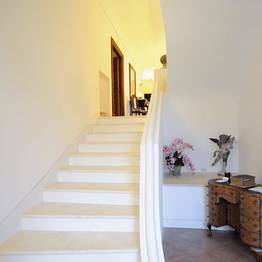 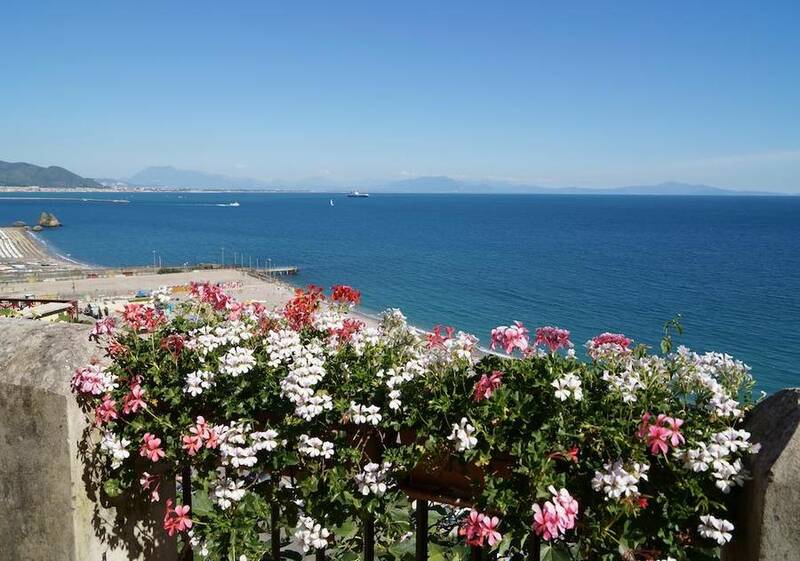 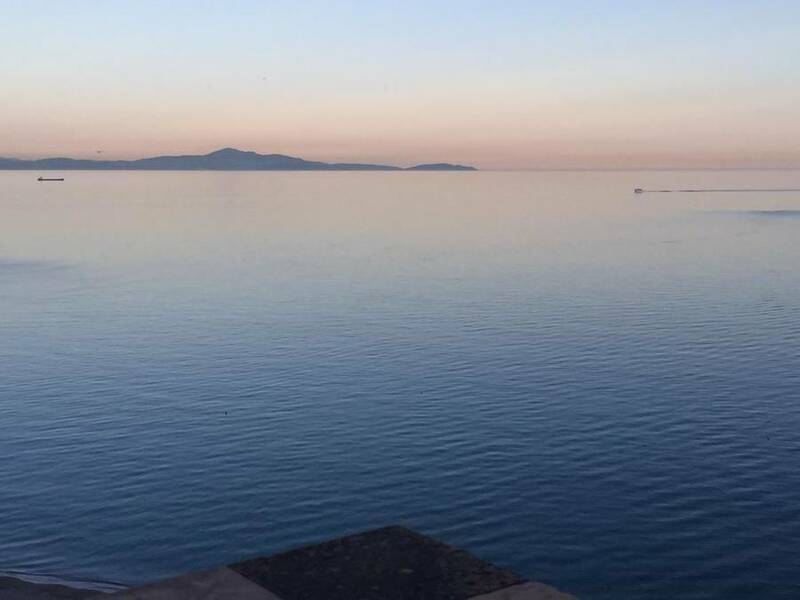 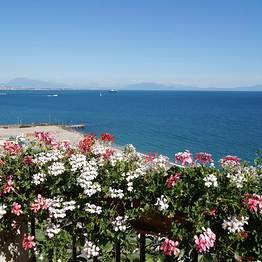 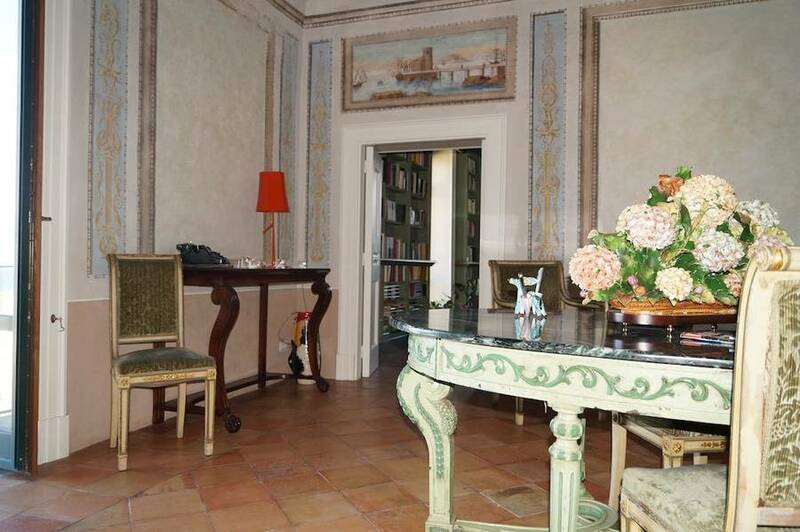 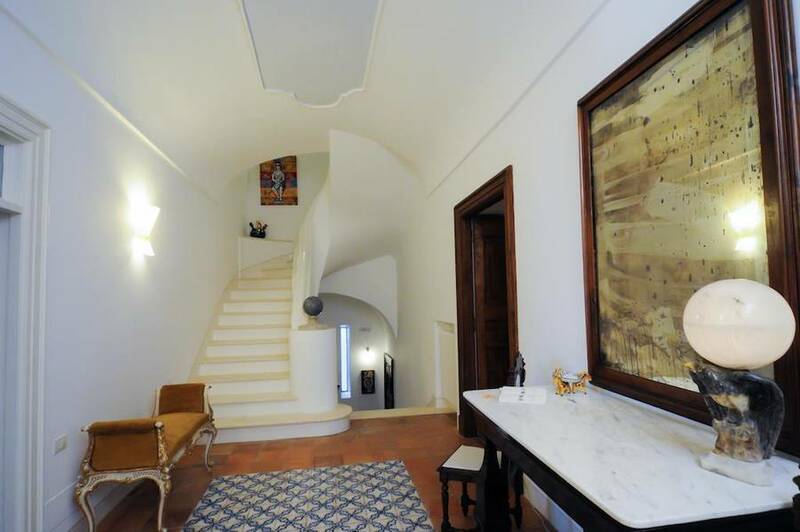 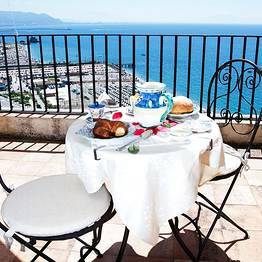 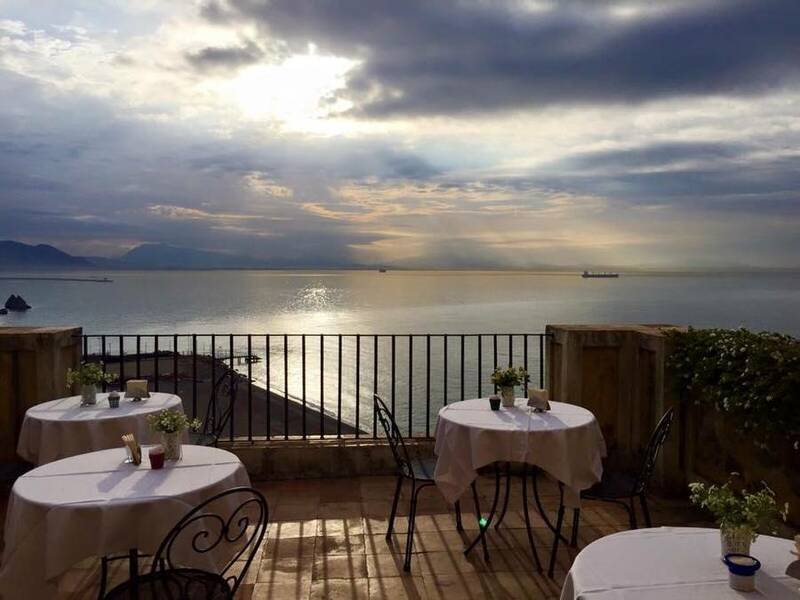 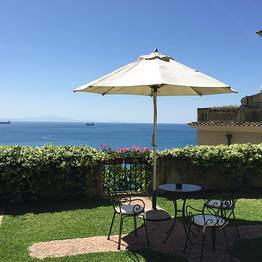 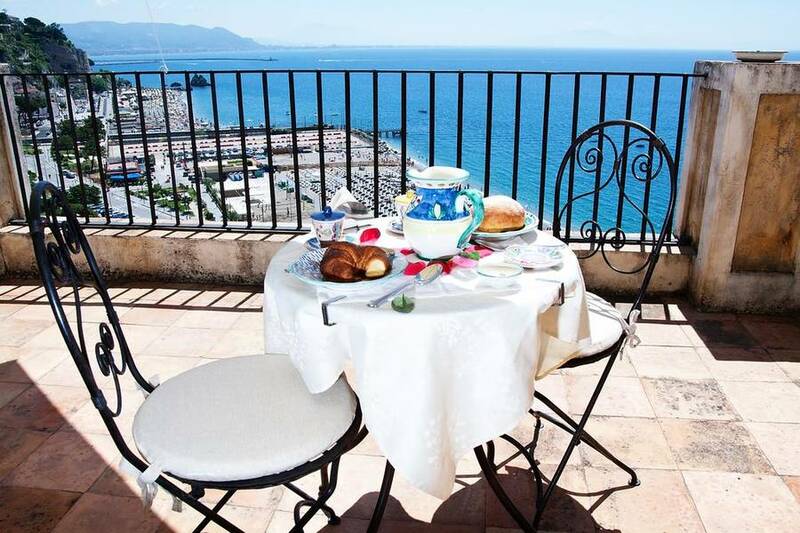 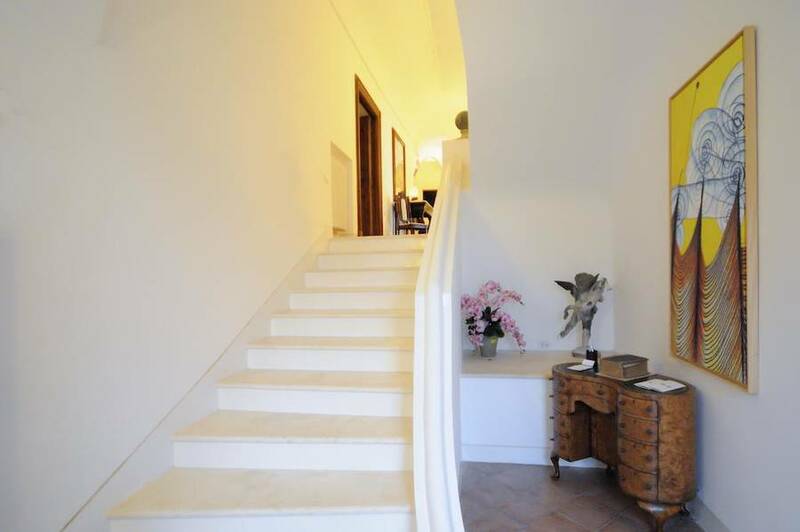 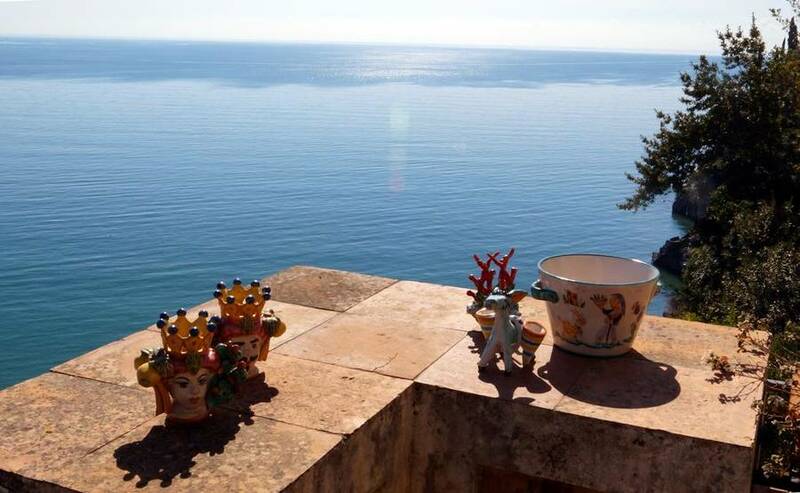 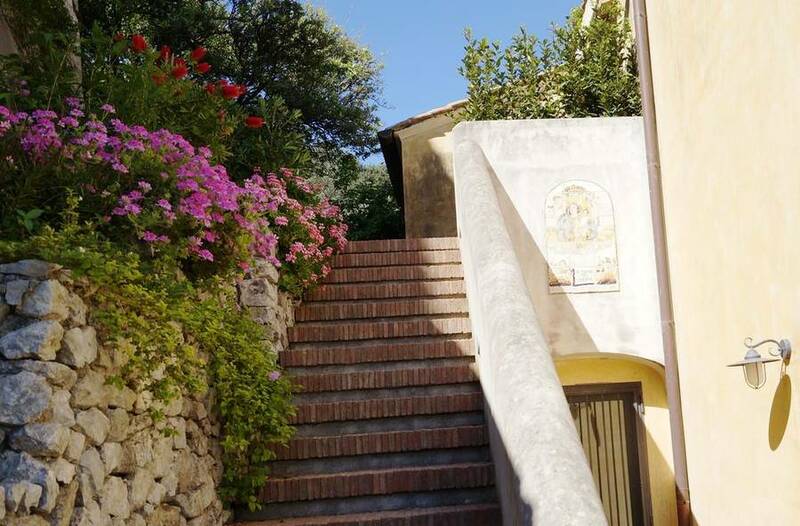 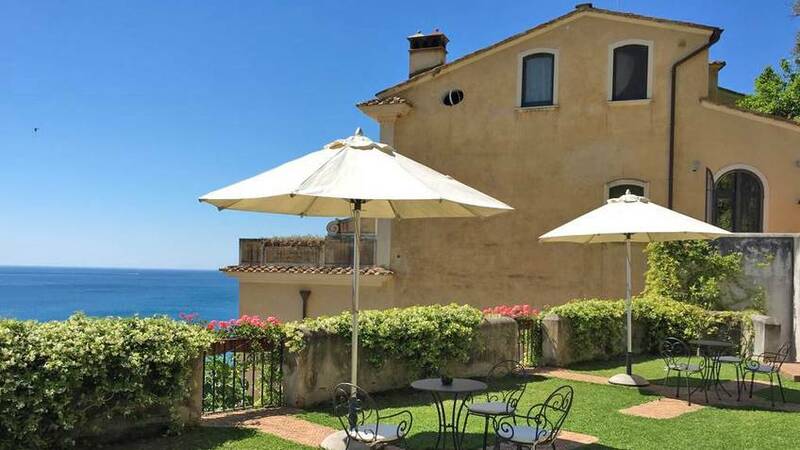 Treat yourself to a charming holiday by staying in this 18th century residence just 200 meters from the beach at Vietri sul Mare: Palazzo Suriano will captivate you with the stunning views over the whole of the Gulf of Salerno. 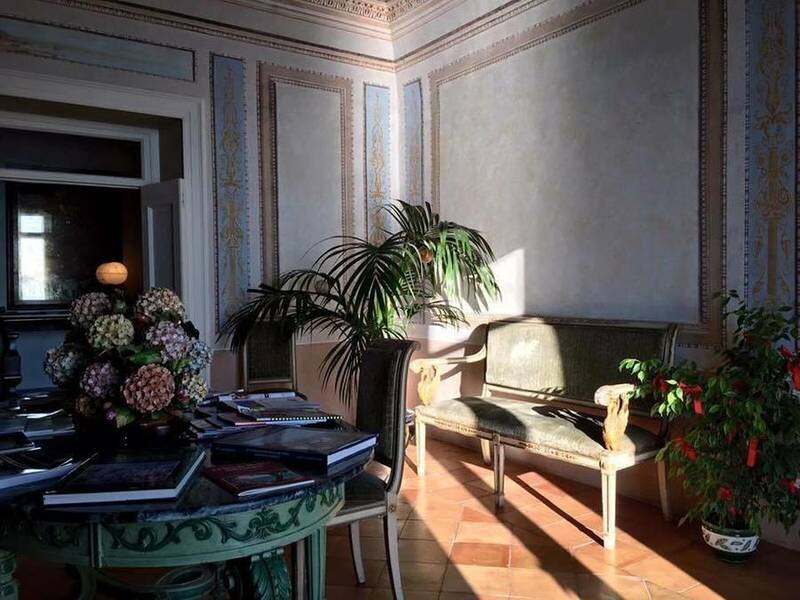 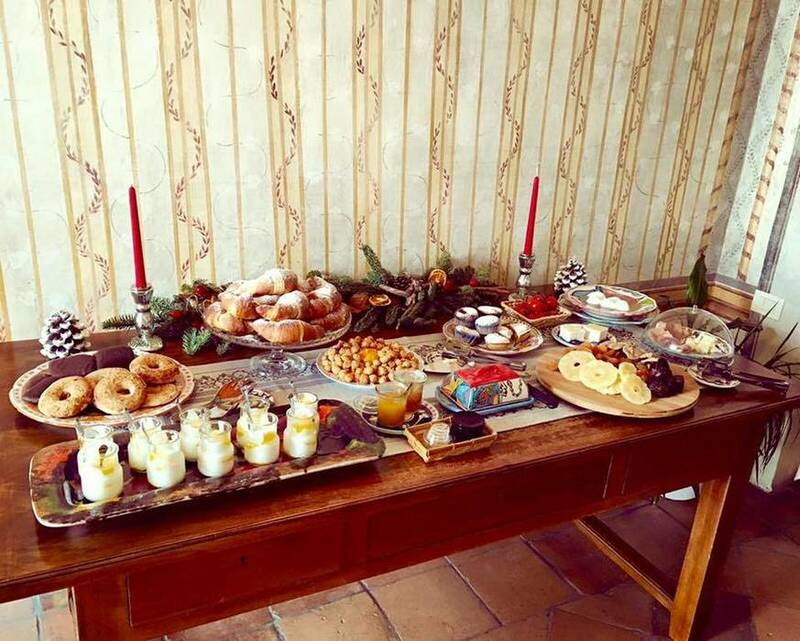 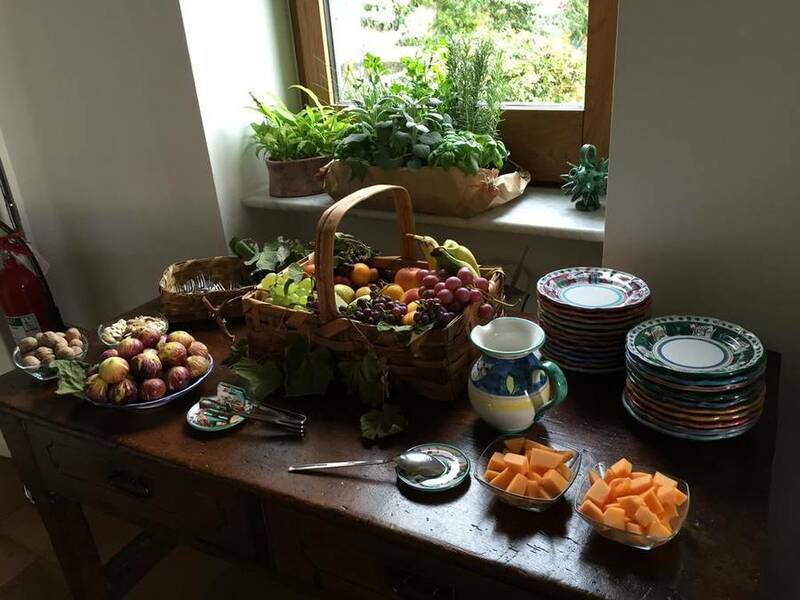 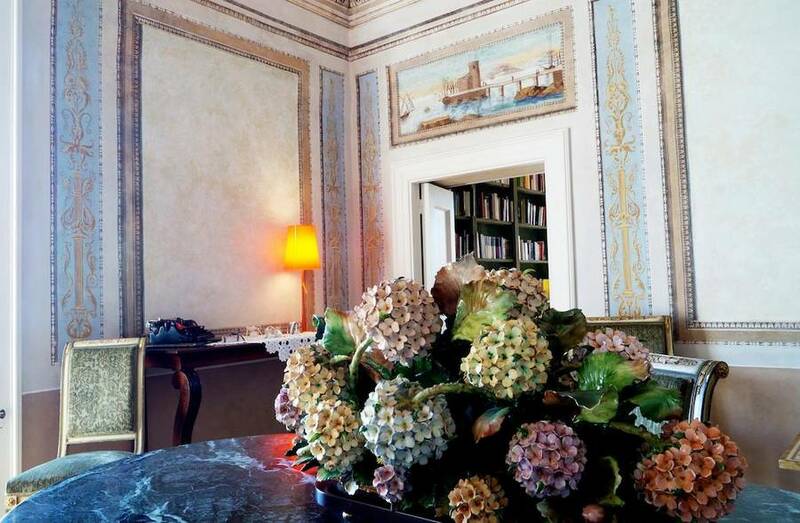 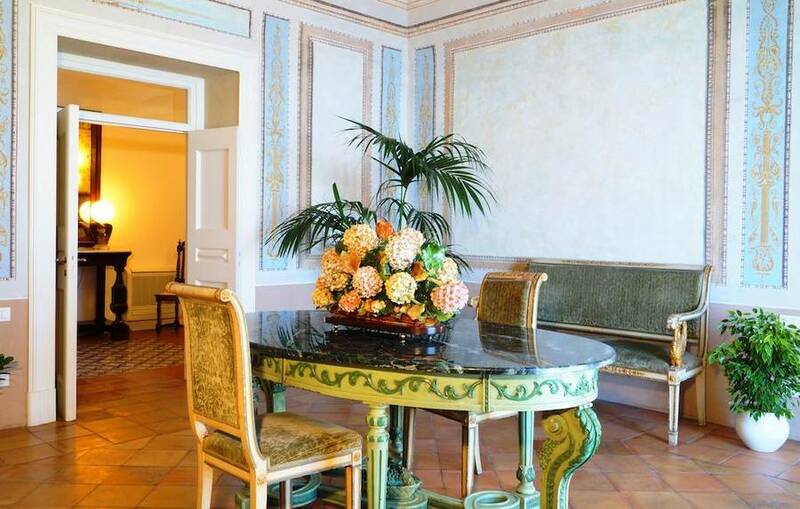 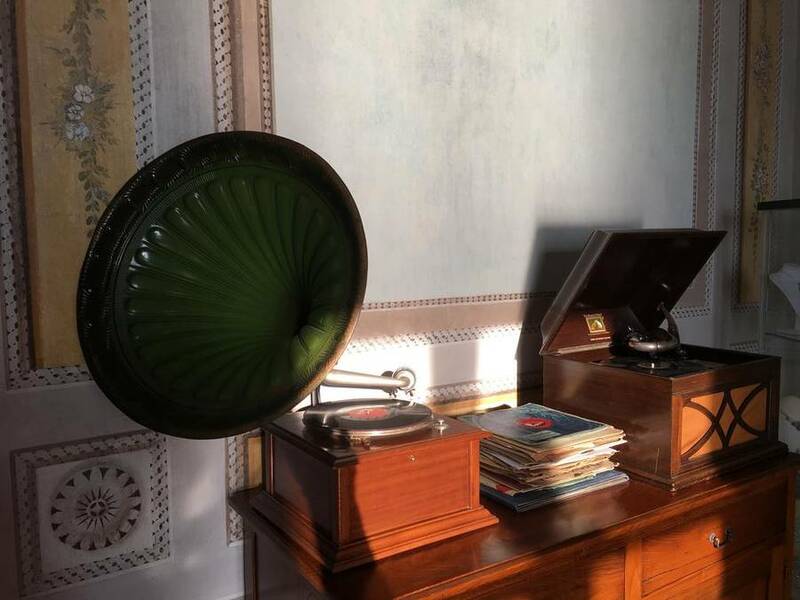 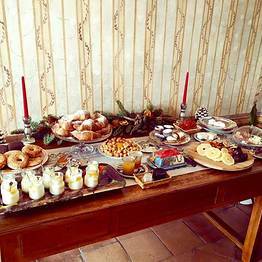 The welcoming yet refined atmosphere of this historic residence will strike you as you arrive at Palazzo Suriano and enter its elegant salons decorated with frescoes from the 1700's, ceramics from Vietri sul Mare's famed local artisans, and decor from the 19th century. 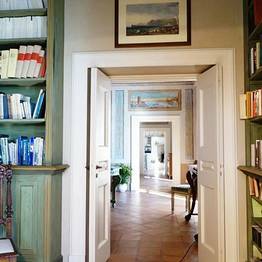 If you'd like to relax in peace and quiet, settle in the library with its hundreds of volumes on art, botanics, navigation, theater and literature in a number of languages. 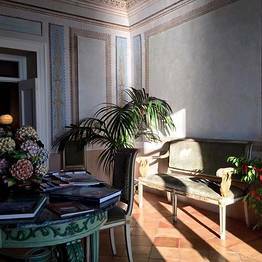 Choose a book to read here, or head outside to one of the five panoramic terraces surrounding the palazzo and shaded by lush Mediterranean flora. 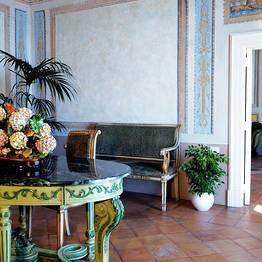 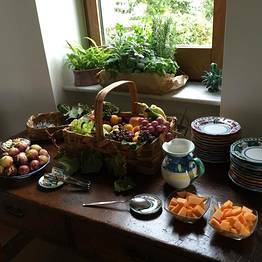 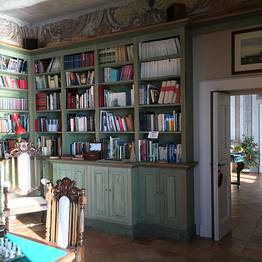 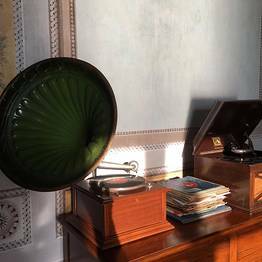 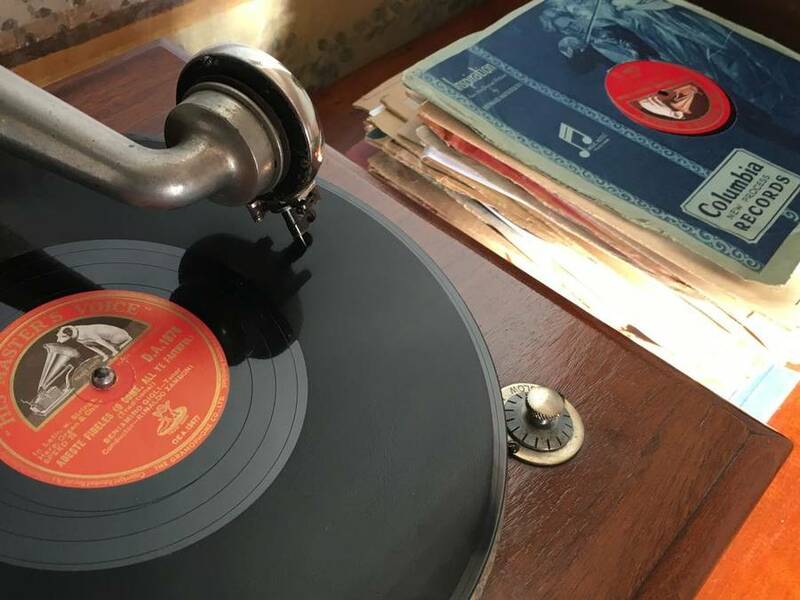 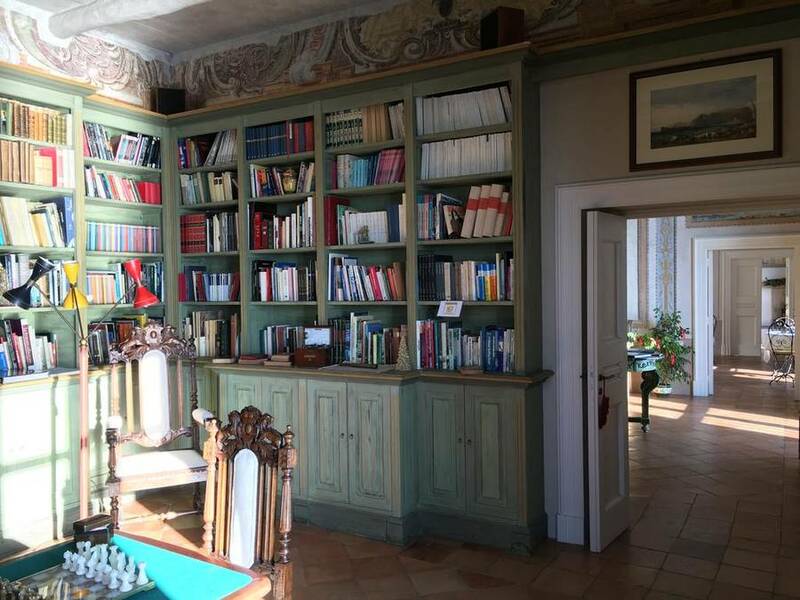 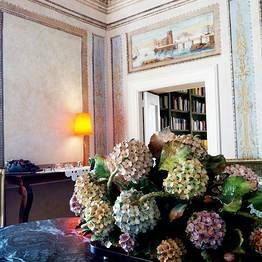 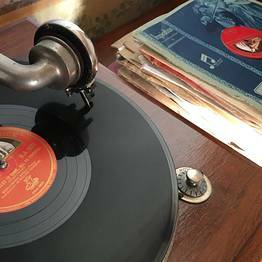 A fascinating historic touch at Palazzo Suriano? 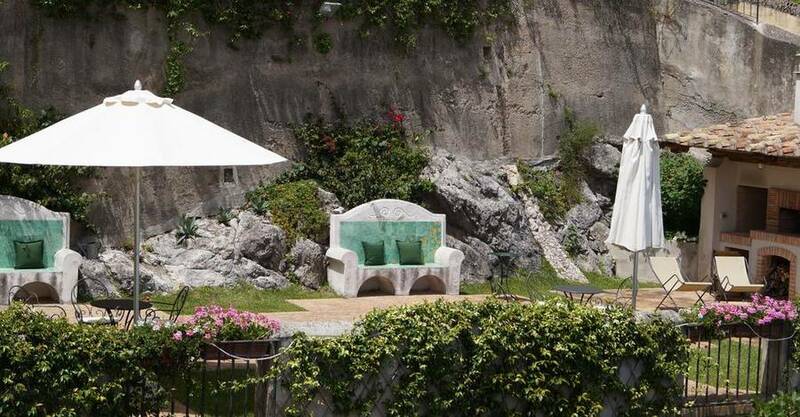 The well dating from the 1600's, which is still functioning. 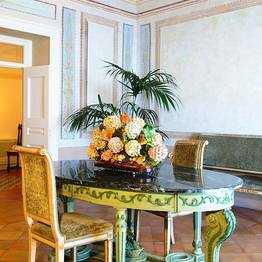 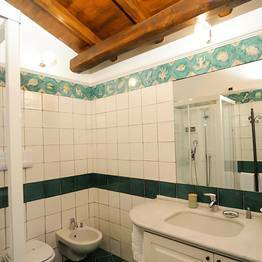 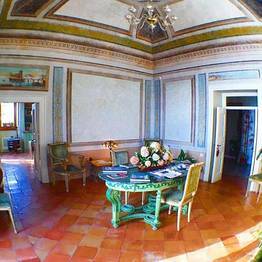 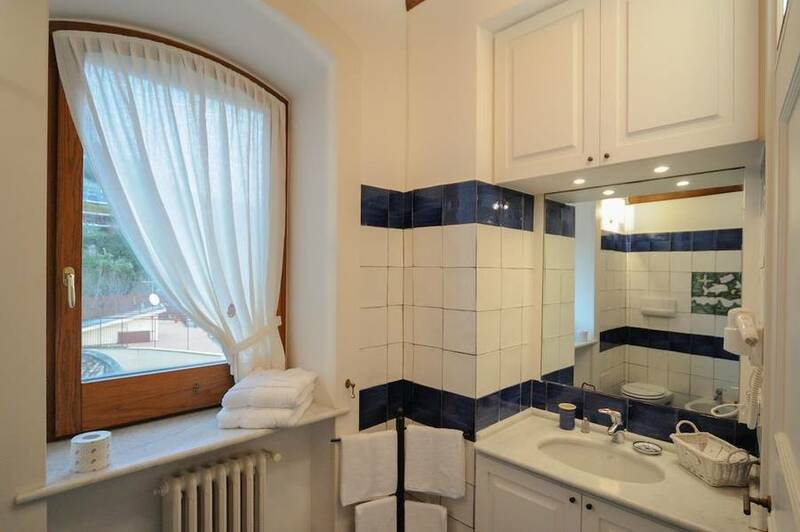 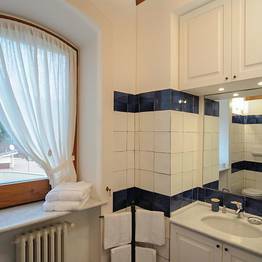 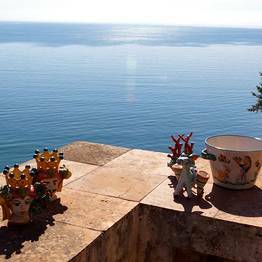 Your room at Palazzo Suriano will be a showcase for elegant traditional majolica ceramics from Vietri, which create a stunning kaleidoscope of marine blues and greens and set off the delicate 19th century frescoes. 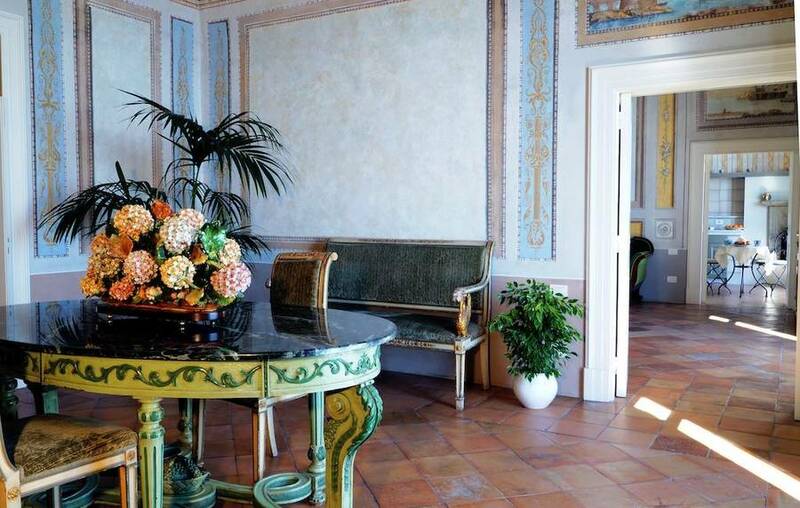 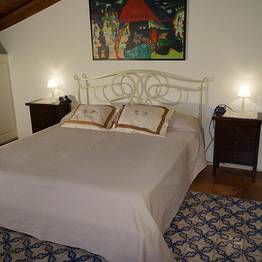 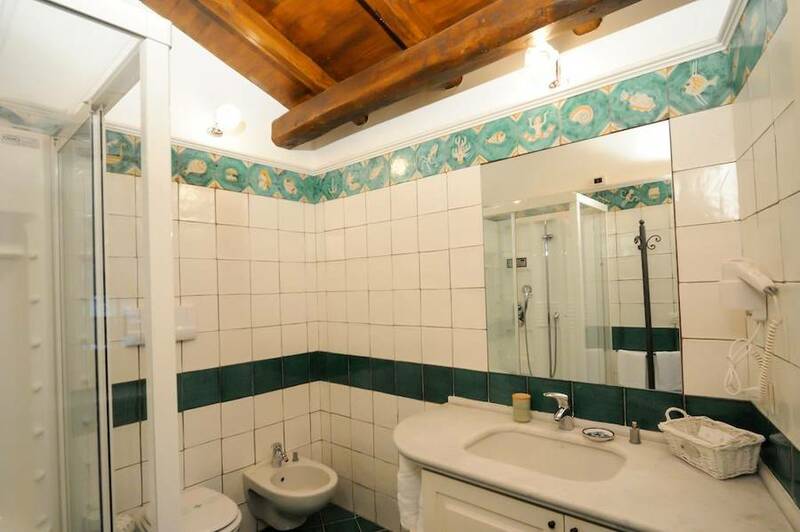 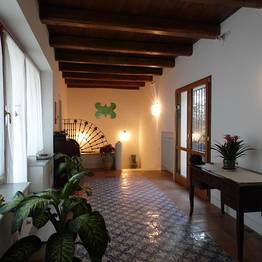 Terra cotta and majolica floors, wrought iron beds, and decorative elements which carefully recreate an Art Nouveau style which harkens back to the period in which the villa was built. 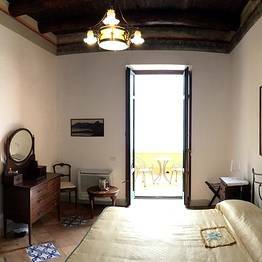 Book one of the Camere Exclusive for an extra-luxurious stay: these rooms boast frescoes from the 1800's, furnishings and light fixtures from the beginning of the 20th century, and a breathtaking view of the Amalfi Coast and Gulf of Salerno which you can enjoy from the privacy of your room. 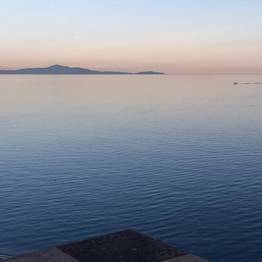 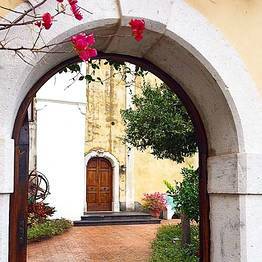 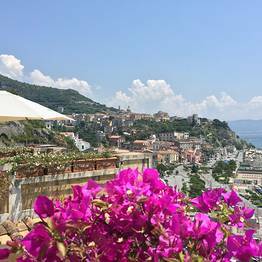 Just a few meters from the beach and the bustling center of Vietri sul Mare, Palazzo Suriano is a 15 minute drive from Salerno and 50 km from Naples. 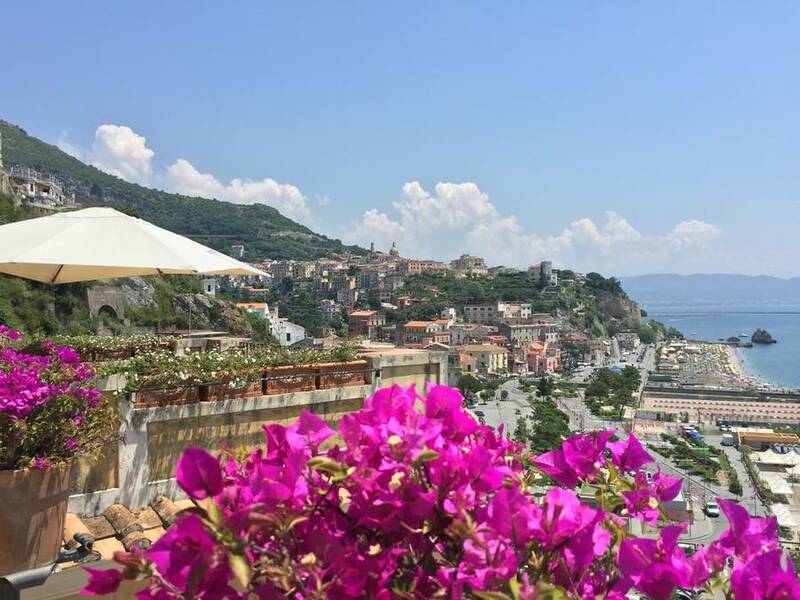 From here, all the most famous destinations along the Amalfi Coast are easily reached. 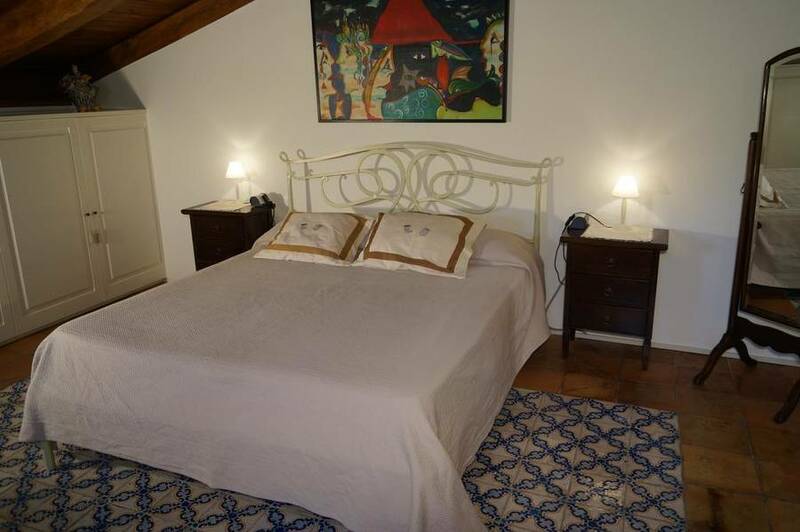 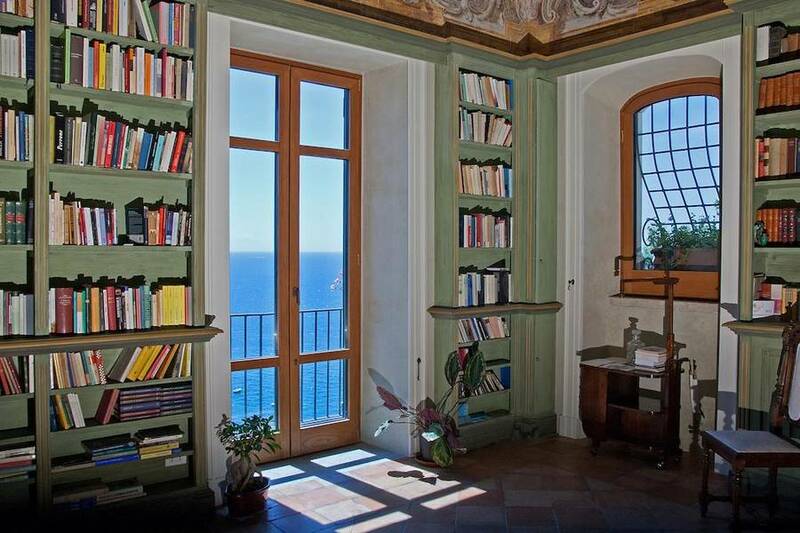 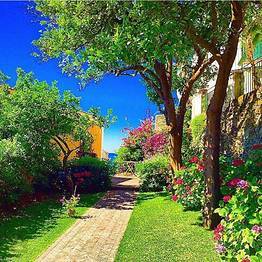 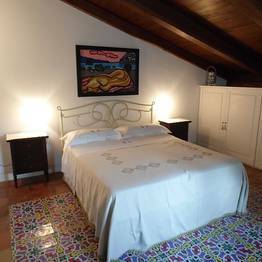 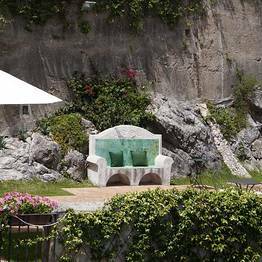 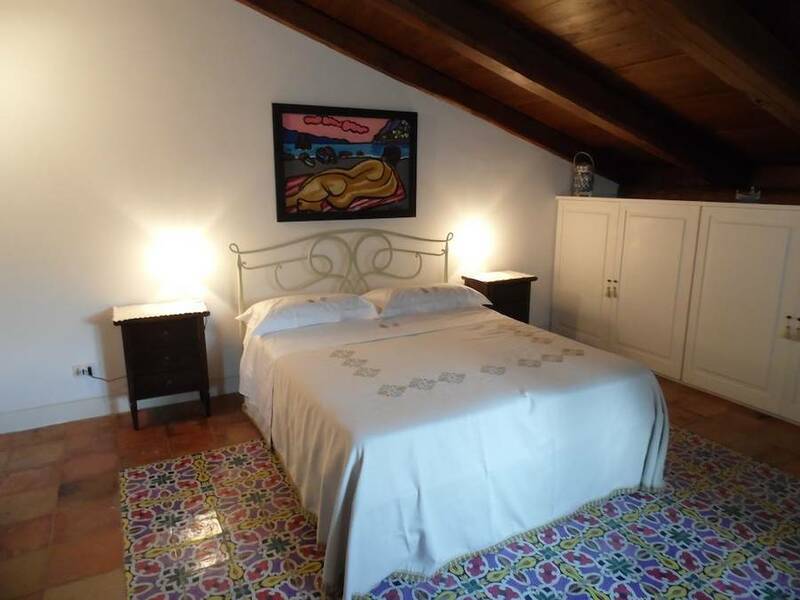 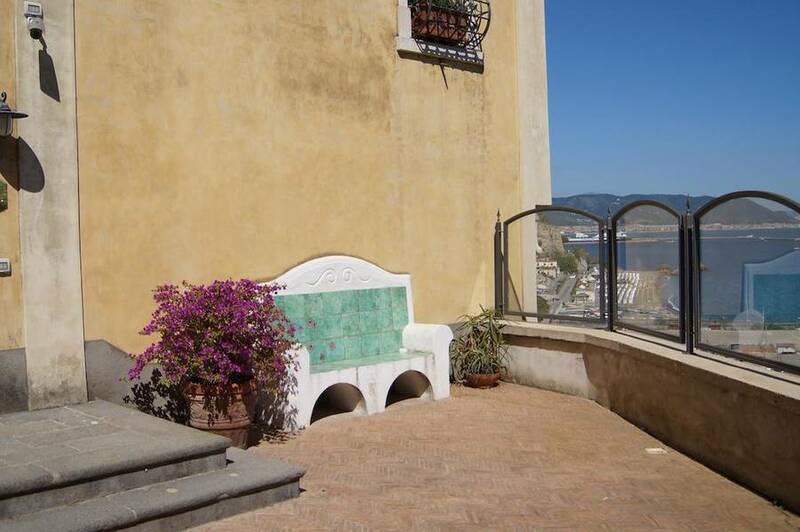 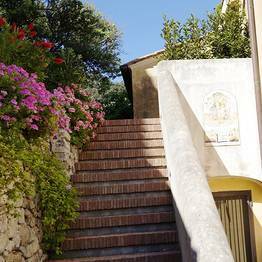 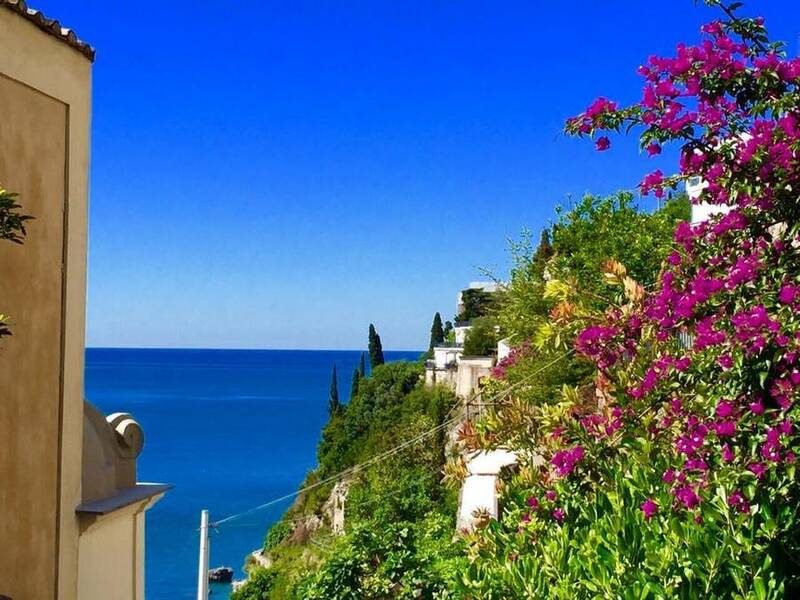 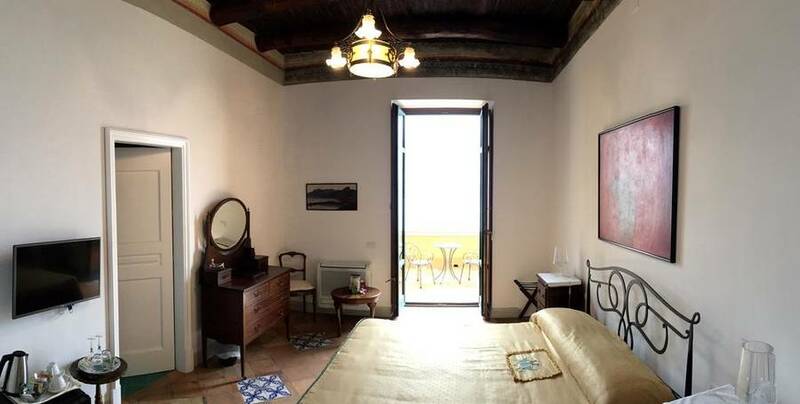 Book Palazzo Suriano on Positano.com now with no additional booking fees.